Similarly, while many are aware of his more famous works, the prolific Picasso also created thousands of lesser known doodles, sculptures and other such pieces of art- and just as obsessively saved and catalogued everything. And we mean everything. For example, in 1998 after the death of one of the artist’s many mistresses, Dora Maar, a veritable treasure trove of art created by Picasso was found in her home. Beyond more impressive pieces, items Picasso and Maar saw fit to keep included carved pebbles, small paper dogs made from torn napkins and doodles on everything from cigarette packets to sheets of toilet roll. Why did they keep these? 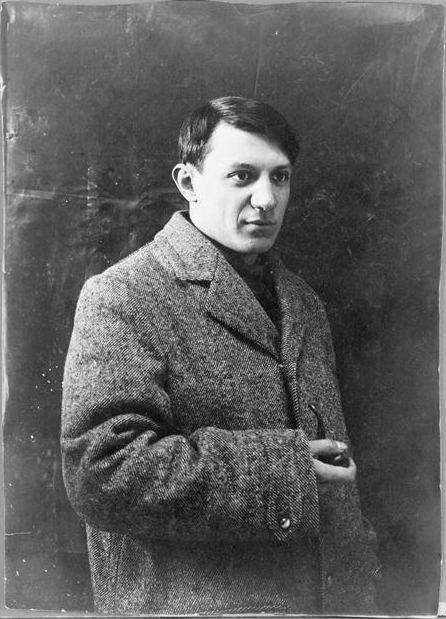 Contrary to the starving artist languishing in obscurity stereotype that, in truth, accurately represented the lives of many distinguished artists in history, after a relatively brief period enduring such poverty in his early days honing his craft, Picasso ultimately became immensely famous and wealthy thanks to his art. As his fame spread, he became keenly aware of the value of not just his more impressive works, but even of his idle doodles. Of course, these stories are generally thought to be apocryphal in nature. However, they’re not entirely out of step with accounts given by those who knew the artist personally. For example, while it’s not certain if Picasso ever uttered the aforementioned quip in response to a haughty manager trying to score himself a signed Picasso, he was known to occasionally give out simple drawings to waiters and waitresses. Further, Picasso was by all accounts a nice enough guy to genuine fans and wasn’t overly stingy with handing out such artwork on a whim to those he deemed worthy of them. However, he did sometimes take exception to being asked to perform on the spot, and seemingly had a mischievous, some might say slightly eccentric, sense of humour in such circumstances. Picasso produced a black Bic from the cavernous depths of his shorts pocket… He began to scribble on the protective paper covering. By this time the meal was served, and the awestruck patrons — generally a pretty gregarious, raucous bunch — held their collective breath. Lunch had entered a state of suspended animation. I’ll show you how you can turn a woman into a goat, and a goat into a woman,” Picasso proudly proclaimed to me. He proceeded to do just that, while my eau-de-cologned, pomaded uncle beamed and my father choked on a stray olive… With the contents of the dishes in front of my admittedly chubby self rapidly diminishing, Goat-Woman emerged and pranced purposefully across the paper. He was nothing if not a showman, a sit-down comedian. He clearly took immense pleasure in the awe and the reactions his presence inspired. So what did Picasso do with this table-covering masterpiece? 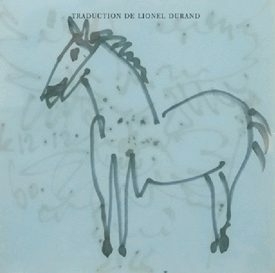 Between cognac-drenched espresso sips, Picasso set about to systematically destroy the drawings, little by tortured little… The masterpiece was soon a pile of tiny pieces. The moans and “oh-no’s” from the surrounding public (seemingly ready to pounce as soon as we made our exit) were clearly audible, permeating a church-pew silence as still another ballpoint morsel hit the floor or was crumpled and crushed into oblivion within a thick fist… Picasso’s ebony eyes glittered with devilish glee. All other eyes were upon us, as the people forgot to get on with their meals. Every trace of the artist’s handiwork was either torn, scribbled out or otherwise obliterated. Picasso giveth and Picasso taketh away. While Picasso had thus disappointed all those gathered, and perhaps particularly the server who would have been best placed to nab the expansive drawing when the patrons at the table left, he kindly spared the Goat-Woman part of the sketch and gave it to the one person in the room who didn’t value it for what it was worth, but simply because it was a nice drawing from a man she knew to be a famous artist- the little girl who sat next to him, Diane Root. Even more amazing than these numbers is that even today caches of previously unknown Picasso works are still being occasionally discovered, such as in 2010 when hundreds of pieces by Picasso were revealed by a French electrician who claims Picasso and his then wife, Jacqueline Roque, gave them to him in the years leading up to the artist’s death. Unfortunately for the electrician in question, after verifying the works were indeed created by Picasso, Picasso’s heirs claimed they must have been stolen and summarily sought to gain possession of the art worth an estimated £50-£60 million ($62-$75 million). Five years later, a French court convicted the electrician and his wife of possessing stolen Picasso goods and the art was handed over to Picasso’s heirs. 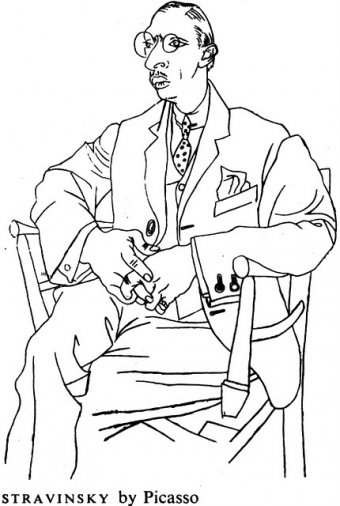 As for the rest of us, the upside to Picasso’s prolific artistic tendencies is that, unlike most historic artists whose works are far too expensive to be purchased by the middle class of the world, today you can conceivably buy an original Picasso drawing for as little as a few thousand dollars at the right auction (compared to, for instance, his Les Femmes d’Alger, Version “O” that sold for $179.4 million in 2015 to Hamad bin Jassim bin Jaber Al Thani). Sure, the few thousand dollar doodle might be a hastily sketched dog drawn on a sheet of toilet roll that your eight year old nephew could have produced just as well; but if you buy it, you can still tell people you own a genuine Picasso. That said, even some of these scribblings still sometimes garner expensive reserves. 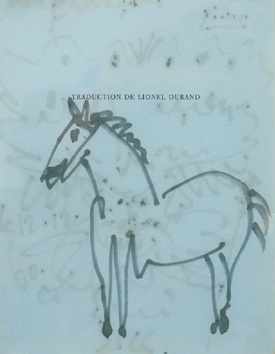 For instance, in 2009, a simple doodle of a horse drawn by Picasso went to auction and was expected to sell for around £20,000. While it is widely reported that it did sell for this, in truth, according to one of the auctioneers, Amy Brenan, while bids were placed, no one bid up to the minimum on it, and it didn’t sell at that time.